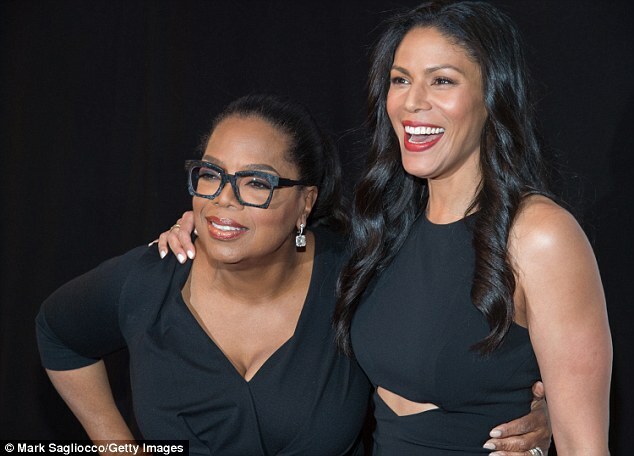 Merle Dandridge owes her immense rise to prominence to the universally acclaimed television series, Greenleaf, which was created by Craig Wright and executively produced by Oprah Winfrey. Before making her way to the big screen, she was popular among theatrical audiences and bosses. Since her emergence into the spotlight, she has proved to be an asset as well as a force to reckon with. From her superlative performances on both the stage and in front of the camera to her assertiveness, Dandridge is everything you need in an actress. The Greenleaf actress was born to her parents in Okinawa, Japan, on the 31st day of May 1975. She spent her childhood initially at Beale Air Force Base (outside of Wheatland, California) and subsequently at Offutt Air Force, in Bellevue, Nebraska. She also visits Asia. Whenever she travels to the area, she mostly stays in Seoul. Merle has older siblings who are 1/4 Japanese and mostly Korean due to her mother’s first marriage to a Korean man. She received her high school education at Papillion La Vista High School, where she took part in the play production class organized by the school’s theater department. Upon graduating from Papillion, the actress joined the Theatre Conservatory at Roosevelt University (which is now known as the Chicago College of Performing Arts). Dandridge launched her acting career in 1994 on the stage, after which she went on to make several other appearances in theatre productions in Chicago. She scored her first on-screen role in the year 2003 when she was cast as Lacey in the television series, Angel. Some of her TV series and films credits include but not limited to The Edge (2003) NCIS (2003), Third Watch (2005), All My Children (2005), Perception (2015 ), The Night Shift (2015–2016 ), Murphy Brown (2018) while her most recent project in the theatrical industry is Once on This Island (2017–2018). Since 2016, she has been playing the lead role in Wright and Winfrey’s TV series Greenleaf. Apart from acting, the Hollywood screen diva plies her trade in the gaming world. She is best known in the gaming community for voicing Alyx Vance in the award-winning thriller game “Half-Life 2” and its spin-offs, Episode One and Episode Two. Her superlative voiceover performance in the widely acclaimed game, “Everybody’s Gone to the Rapture” also earned her a BAFTA Award. The actress was born to a Black American father and Asian mother. Her dad was an Afro-American U.S serviceman from Memphis and her mom was a local Okinawan of Japanese and Korean ancestry. Merle’s family is known for their heavy involvements in the church. Her father worships at the non-denominational, no-instrument Church of Christ while her mother is of Korean Catholic faith. Although the names of her parents are known to the public, Merle credits them for the heights she has attained so far in her personal life and career. Who says you can’t keep your personal life private in Hollywood? We know it’s such a difficult task for most celebrities to keep their family life private but there are some who have mastered and conquered this weakness. Merle Dandridge is one Hollywood star who has proved you can be famous yet guarded and discreet. She keeps her personal life under the wraps and prefers her professional life to create headlines. Over the years, she has kept information about her marriage to herself but in recent time speculation about her married life has been making the rounds in the media. It all started after it was rumored that she has filed for a divorce from her husband. In the course of validating the authenticity of the rumor, the media found out that the actress has since been married to a young man called Christopher Johnston. The Merle is said to have tied the knot with her sweetheart on May 21, 2011, in Sherman Oaks, California. The two, as gathered, were kindergarten and high school mates and have been living in Los Angeles. Although there is little information about Dandridge’s over-half-a decade’s marriage to Chris, she is said to have cited irreconcilable differences as the reason for the split. The couple didn’t give birth to their own children. Standing at a height of 5 feet 8 inches, Merle Dandridge is obviously not the tallest actress in the industry but she sure towers above some of her co-stars. She has an ideal height for ladies and that’s why her height has never held her back from portraying her roles very well. If you are wondering what the equivalent of the actress’s height could be in metric units, it is 1.73. As for her weight and other body measurements, they are yet to be disclosed to the public but we can confirm that the actress is in good shape and that the color of her eye and hair are both black.